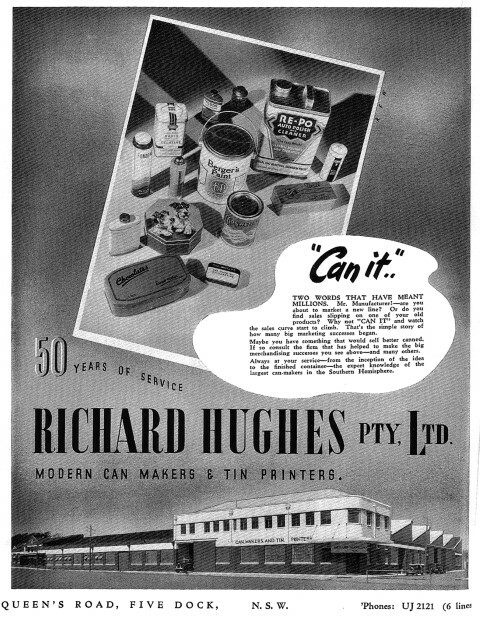 In 1951 the company Gadsden-Hughes was formed by the merger of J. Gadsen Pty Ltd and Richard Hughes Pty Ltd, two of Sydney’s largest tin and metal container makers. J. Gadsden Pty Ltd began in Melbourne in 1889 when Jabez Gadsden started experimenting with the processes of printing on tinplate. In 1896 Gadsden imported a flatbed lithographic press from Britain and established a tinprinting and decorating works. The company produced the first printed can in Australia – a tea caddy commemorating the Diamond Jubilee of Queen Victoria. 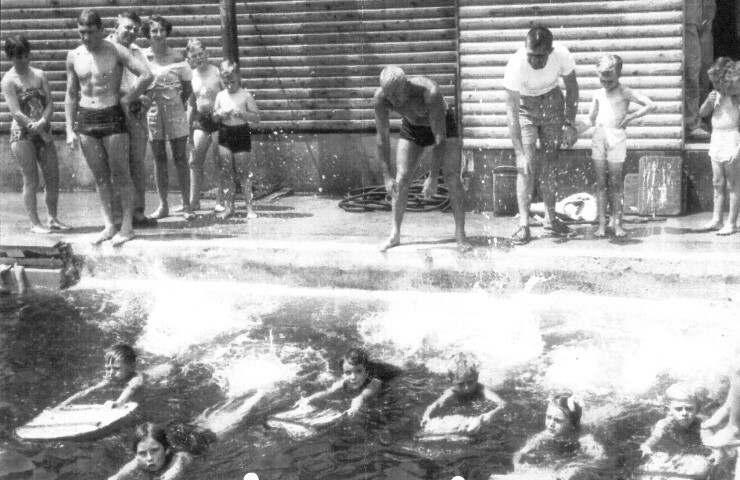 The company continued to expand and by 1936 operated twelve factories throughout Australia and New Zealand. 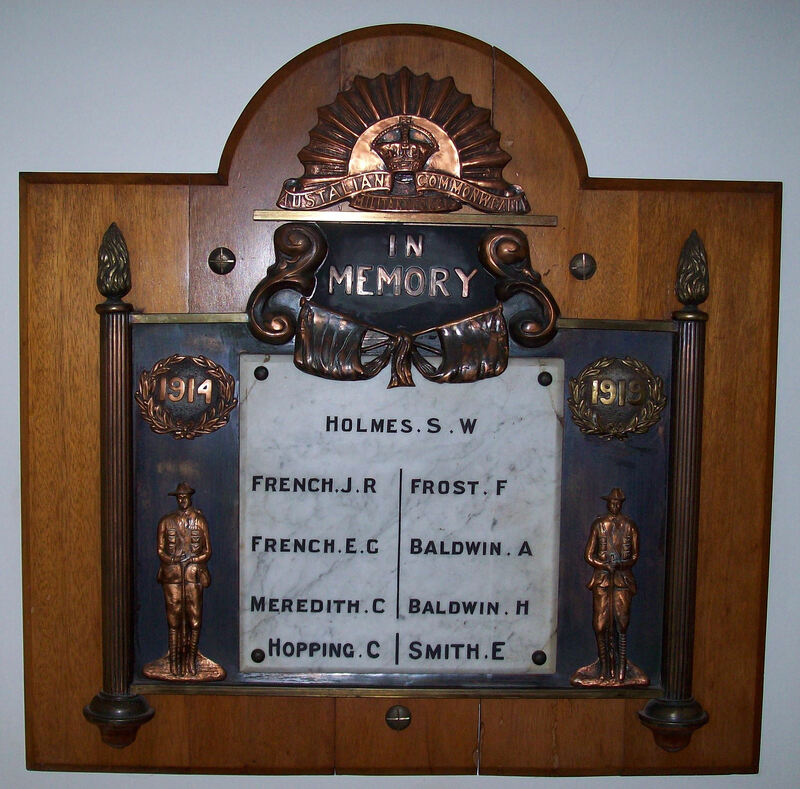 In Five Dock the firm of Richard Hughes Pty Ltd had similarly found a ready market for tin and metal plate containers. In a 1940 advertisement, above, the company claimed to be ‘the largest can-makers in the Southern Hemisphere’. Located at Queen Street, Five Dock the company was an important local employer, producing everything from paint cans for Berger to fancy chocolate tins. The photograph below shows the Richard Hughes Pty Ltd factory in 1937. 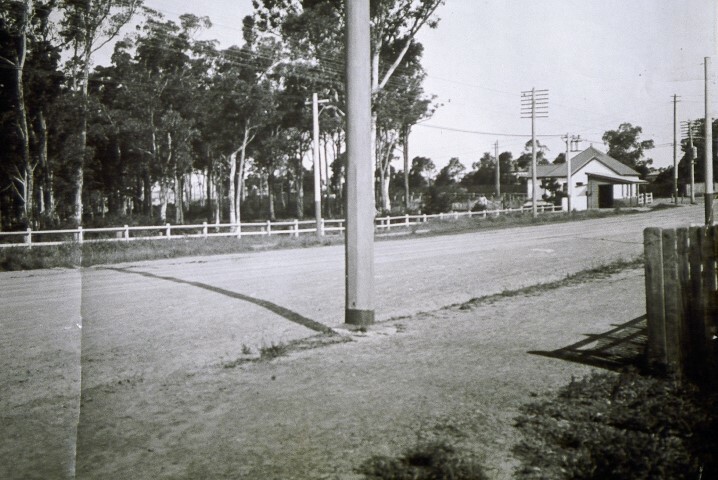 While the Great North Road at Abbotsford has changed markedly since this photograph was taken in 1918, the tram shelter (seen on the right) has remained a constant fixture for over a hundred years. According to the Sydney Tramway Museum these shelters were called ‘Waiting Rooms’ or ‘Waiting Sheds’. The one at Abbotsford was erected on 21 July 1911. The Abbotsford line opened as a steam tramway and was the last of the western suburbs tramways to be electrified. The fully electrified tramway opened on Sunday, 16 April 1905. The first electric tram to Abbotsford was N class car 647 which completed a trial trip a few days before the opening. 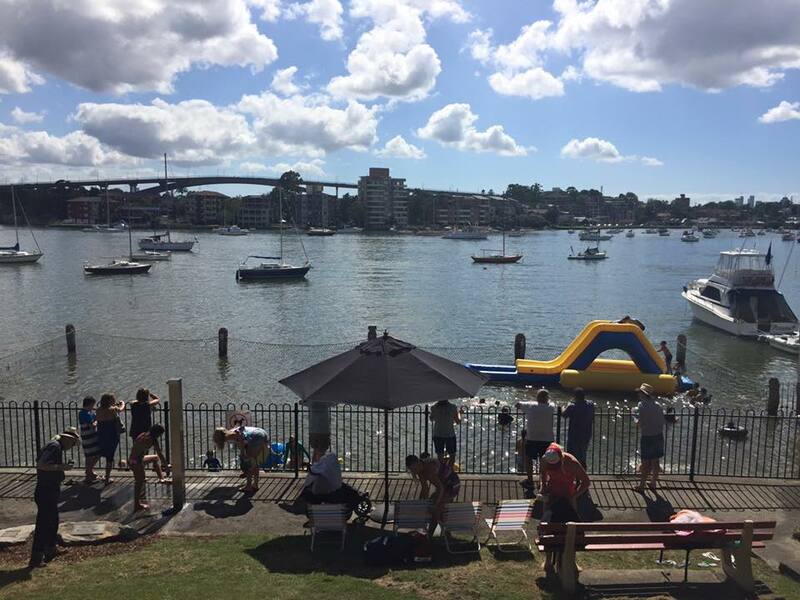 Services were provided by the Rozelle Tram Depot and an improved service, running every twenty minutes, replaced the steam service. Now serving as a bus shelter, it has recently been fully restored, ensuring it will continue to provide shelter for many years to come.